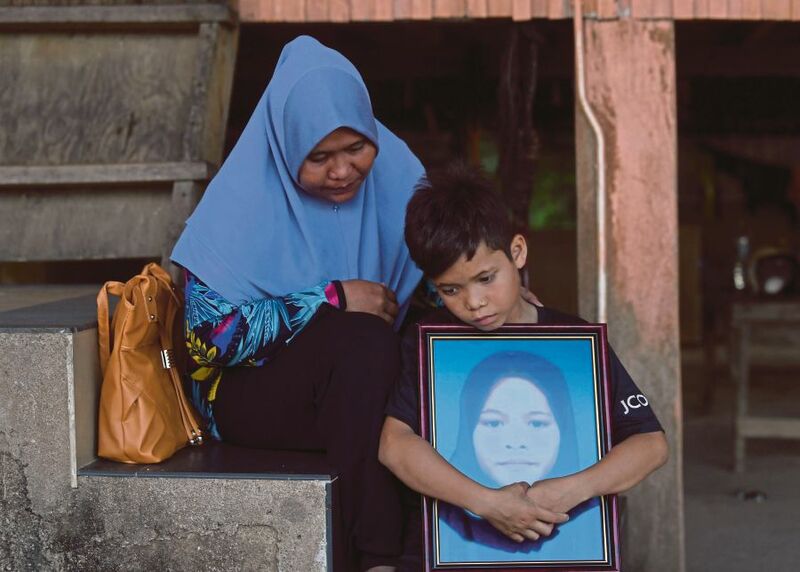 PEKAN: The mother of 11-year-old Siti Masitah Ibrahim, whose decomposed body was recovered near some bushes at Tanjung Medang Kemahang near here, does not understand why the suspect in the case was angry with the family. Though police revealed that the suspect had claimed revenge and anger as the motive, 35-year-old Solihah Abdullah said she never had any problems with the 23-year-old suspect, who is also a family friend. “Demi Allah, (I swear to God)... I never had any issues with him to such an extent that he would want to take revenge on baby (Siti Masitah's pet name) and she became his victim. “Since he is now in police custody, he will say all sorts of things (motive) but why did he have to kill my daughter? We always treated him well, just like one of our own siblings... let God punish him,” she said at her house in Kampung Kemahang. Solihah said she was shocked when police informed her that the suspect admitted that he had killed Siti Masitah, claiming it was done due to revenge and anger against the family. Solihah said it has been some time since she last met the suspect, who now lives elsewhere, and was surprised to see him on the same day her daughter went missing on Jan 30. “On the day Siti Masitah went missing, he (suspect) entered my house about 7.30pm and stole my handphone. I realised it was missing when I wanted to call some relatives. “When villagers caught the suspect (the same night Siti Masitah was reported missing) they, found my handphone with him. However, he denied taking my child saying he had no knowledge about her whereabouts despite villagers saying that they saw her riding with him,” she said. The mother of four said she was saddened that the suspect never admitted killing Siti Masitah until after her body was found. “Only after her body was found, he told police the truth. I am glad that her body has been found and we can now give her a proper burial. “Today my husband and I provided our blood samples in Pekan Hospital for the DNA procedures. As a mother I know the body is (that of) Masyitah but there are certain procedures that we need to follow,” she said.